The Bright Side of Playing Video Games – Game/Life Balance U.S. In the modern world we live in, there are many different things demanding your attention. Between phones going off with updates, computers reminding you of close deadlines, and a potentially overflowing inbox, the stress can be more than a person can handle. Combine this with schooling of any kind, and people can be stretched thin enough to be a trampoline. This is where video games can be helpful. I know, as an unofficial member of “media,” I should shun video games and blame the rampages of the mentally insane on violent video games, but the same games that the media often shuns can be the most helpful. Unfortunately, I have a friend who has cut and done other, unspeakable acts due to a combination of a load of stress and a lot of unfair pressure around her house. She seems to be sad, but she is always telling me that when she is playing video games, she is put into a suspended state and can ignore all of the pressure around her, even if it is just for a few minutes. Even for those of us who aren’t as bad off as my friend, they can provide a large amount of help. Playing video games can also help you make some money and can you make money on twitch? YES!. Video games are not bad after all, they help you with a lot of things. For one, they can do the same thing that they did for my friend. They can temporarily suspend reality. They can give people friends when all hope of being with people was dashed, give people a sense of purpose, and make people feel like they can belong. And, in the most dire of situations, a temporary suspension of reality can help people continue to live their life. 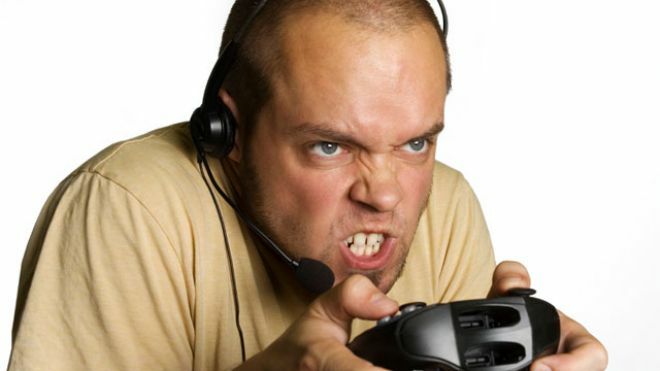 Video games can also be a way to vent anger. My friend has always enjoyed a good Call of Duty match when she’s angry. It lets her yell at people and shoot them, and still appear entirely sane. I’ve also used video games to vent. Instead of punching someone who did something to disturb me, I loaded up Binding of Isaac or Might & Magic, and took my anger out on the keyboard and my unknowing enemies. The person above may seem really angry, but isn’t that better than letting that anger out on physical objects or other people? Certain video games can also help improve skills outside of video games. For a lot of shooters, the more someone plays, the better they will find their hand-eye coordination. Most people can learn how to look at problems from many different angles from a very hard level, where they have to know where to go and what to do before you get to doing it. Also, it can help people to analyze situations, people, and other things, and make better decisions. Even though these advantages have been proved by multiple studies, “media” still tosses video games in the dirt. Why they are seen as bad is a mystery to me, and even though they like their scapegoat, us gamers will remain loyal to our games. Here is some cannon fodder to fire at the rest of the media. Fire at will. Recenently got into a heated debate with my family a couple weeks ago. Them blaming me joing the Army simply because i play “Violent Video Games”. No matter how hard i tried to move them to the truth, they refused and insisted that was why. Sure Video Games can be a means of propaganda for enlistment, but its something much more. A means of relaxation in my case, getting away from current events regarding Korea, or Edward Snowdan or even training. Oh man… if they think Megaman is violent, then I sure hope they didn’t watch the Mortal Kombat X trailer!! !